We have over 200 individual herbs in our dispensary. We source our herbs predominantly from Blue Light, Inc., an herbal importer which has been fully compliant with US government regulations since 1996. Each batch of raw herbs is tested for pesticides and heavy metals before being processed. 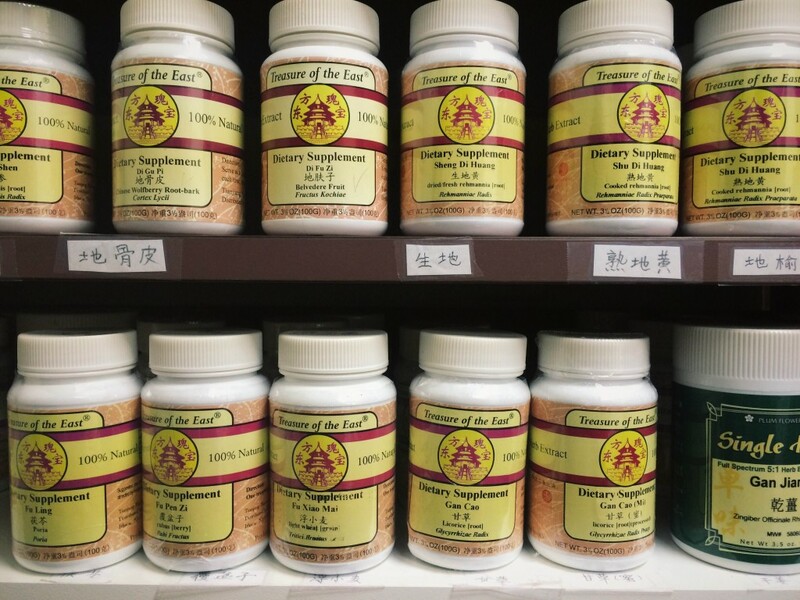 If deemed necessary, Dr. Zheng or Dr. Zhou will provide you with an herbal formula comprised of 5 – 15 individual herbs tailored to your condition. The use of Chinese herbs is particularly beneficial when combined with acupuncture for chronic conditions like allergies, acid reflux and infertility. We generally provide 1 – 2 week quantities of herbs at a time at the rate of $35 – $45, depending on the complexity of the herbal formula. Like the hands and feet, our ears are essentially a map of our entire bodies. Specific points on the ears correspond to specific regions on the body. In auricular acupuncture, small metal balls are taped at acupuncture points on the ears of patients and left for a period of several days. The balls apply steady, gentle pressure to acupuncture points to exert their therapeutic effect. This treatment is especially effective for weight loss by helping patients reduce their appetite and diminish their cravings for sweets. Dr. Li Zheng is certified in facial rejuvenation acupuncture, which is used to reduce the appearance of wrinkles, fine lines, discoloration and sagging skin. Despite its name, facial rejuvenation acupuncture is actually a full body treatment. In addition to the face, needles are also inserted on the feet to ground your body’s energy. Most patients will notice a perceptible decrease in the number of fine lines and reduced puffiness within one or two treatments. To watch a demonstration of facial rejuvenation acupuncture, visit our YouTube channel, @AcuOptimalHealth. This full-body treatment is a specialty of Acupuncture Boca Raton Clinic and can be used on its own or in conjunction with IVF, IUI, and other conventional fertility treatments. Acupuncture points are selected depending on where you are in your cycle and what underlying medical conditions may be the cause of your fertility problems. Dr. Li Zheng has had tremendous success helping women with PCOS and endometriosis successfully conceive. 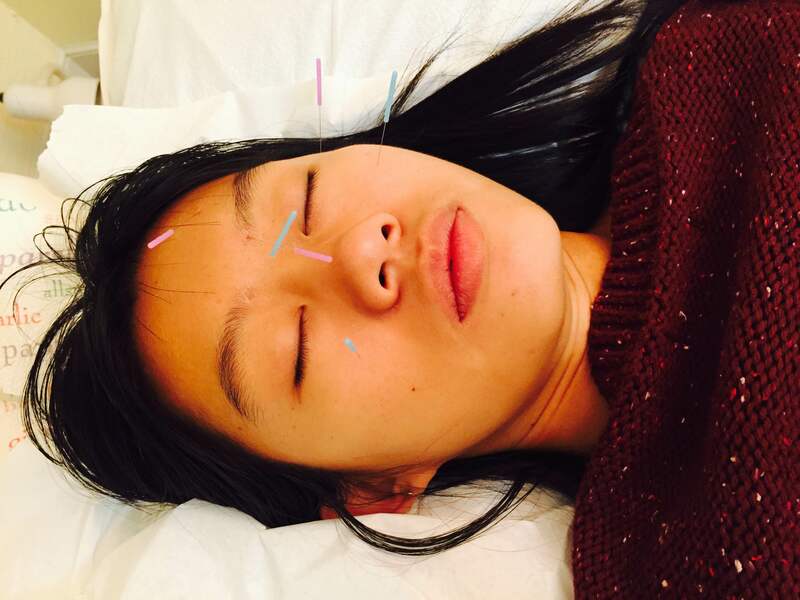 Weekly acupuncture for 3 – 6 months generally produces the best results. For frequently asked questions about infertility acupuncture, please visit our infertility page. Our newest offering, vitamin point injection, is highly effective in reducing muscle pain. Dr. Li Zheng and Dr. Changhong Zhou are both certified in this procedure in which vitamin B12 is injected into acupuncture points at the site of your pain. The slow absorption of the vitamins into the muscles provides long lasting relief from certain types of pain. © Boca Raton Acupuncture Clinic | 1599 NW 9th Ave, Boca Raton, FL 33486 | 561-544-1380.